Are you looking for a marine subwoofer? If yes, then you need to get one that has all the features that meet your needs. Features from these marine powered subwoofer reviews include waterproof ability, high-quality bass, and more. This high-quality subwoofer is popular for having a laser-optimized motor structure that is heavy duty which gives it a deeper bass. 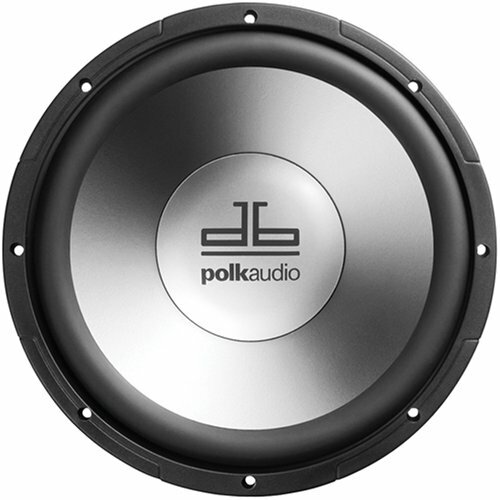 The Polk boat powered subwoofer has a reasonable price, and it’s ideal if you’re on a budget. The speaker has an exterior that is UV-protected and water-resistant to protect it from the harsh conditions of the sea. The speaker’s power range is between 50-70 watts. It has a durable and rigid Santoprene rubber and polypropylene cone that make up the interior part of this speaker. 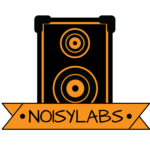 You can create surround sounding bass by connecting an amplifier to your Polk subwoofer through its 2 4-ohm Kapton voice coils that are 2 inches in size. The subwoofer can be placed in a ported, vented, or sealed enclosure to generate low-frequency bass that’s hard-hitting. The speaker also has a pole piece, coil/cone coupler, and a flat Nomex spider that is not flammable. Its Kapton voice coil includes double venting. This double venting helps prevent your voice coil from burning. In case you use it for lower impendence, it’s still compatible with your amplifier. It’s one of the best marine speakers. This is a boat-ready speaker which exudes high performance. It’s designed to withstand marine weather conditions that are extreme like rain, direct sunlight, turbulent winds, fog, and salt water. And remember, knowing the difference between waterproof and weatherproof is a huge difference. Given the conditions this speaker can stand, it’s weatherproof. The exterior casing protects against UV rays and offers enough sun protection to the interior acoustic components. Moreover, the device is resistant to corrosion damage. It has 350 watts of peak power and 50 watts of RMS. The subwoofer is also 10 inches in size. It has Santoprene rubber surroundings and mica-filled polypropylene cones that are injection-molded. It also includes a high impact woofer frame and mesh. Seawater and rain cannot penetrate the interior of the speaker due to its Liquid Drainage System. All the terminals of the equipment include gold-plating to prevent rusting as well as a rubber mounting gasket. The subwoofer has used magnetic shielding to prevent interference from other devices. It has a 4-ohm voice coil and a ferric oxide magnet. It’s perfect for sealed and ported enclosures which support a free-air application. The package also has mounting hardware comprising of high-quality stainless steel with a removable grille. The Kicker subwoofer is 10 inches in size but lacks a super high power range. It has an RMS of 150 watts that offers amazing bass. It also has splash-proof terminal covers and polypropylene locking cones which are injection-molded. The speaker combines smart looks with superior acoustics. 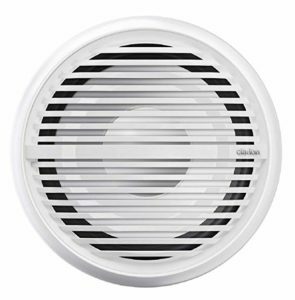 We know someone out there has mistaken this speaker for a fire alarm! All jokes aside, the subwoofer comes with multi-colored LED systems of illumination that is detachable and adjustable. Its cabinet consists of a sealed motor structure, and the front grille is waterproof. This M10W5-SG-WH model is one of the most robust marine subwoofers produced by JL Audio. It comes with a 500-wattage peak power rating and a 250 watt RMS Power. It has 4 ohms of impedance which is required for sealed enclosures for longer life. The brand is popular in the audio sector for offering high-quality products. The subwoofer uses complete marine grade materials containing brass binding posts that are gold plated. It also consists of quality stainless steel back plates. We’ve noticed that polypropylene woofers that are injection molded for quality bass is somewhat of a trend for marine speakers. We guess when it comes to marine speakers, the kevlar vs. polypropylene debate isn’t up for grabs. Because of the high quality, the subwoofer has a high price tag. The Bazooka bass tube can be found with 250 watts and a 100-wattage peak power rating. 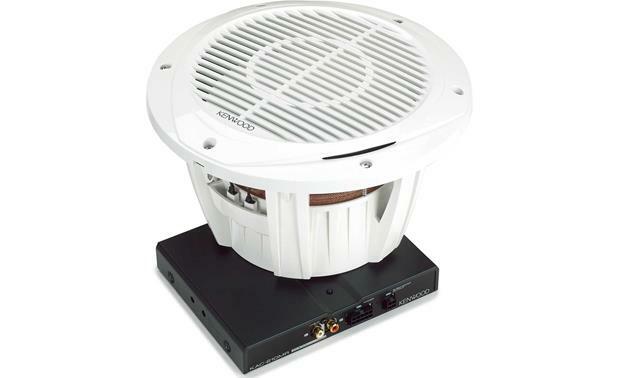 If you don’t like drilling or forming enclosures on your boat, this subwoofer is perfect for you. This Bazooka comes with a class D amplifier for maximum power of 200 watts RMS. The component is pricey, but it comes as a part of this speaker to save costs. The woofer is waterproof to ensure its safety in water environments. In addition, the subwoofer has a weather resistant Velcro and stainless steel hardware. It’s also UV, fog, and salt certified. To allow for secure strapping to your boat, the Bazooka has reinforced straps. 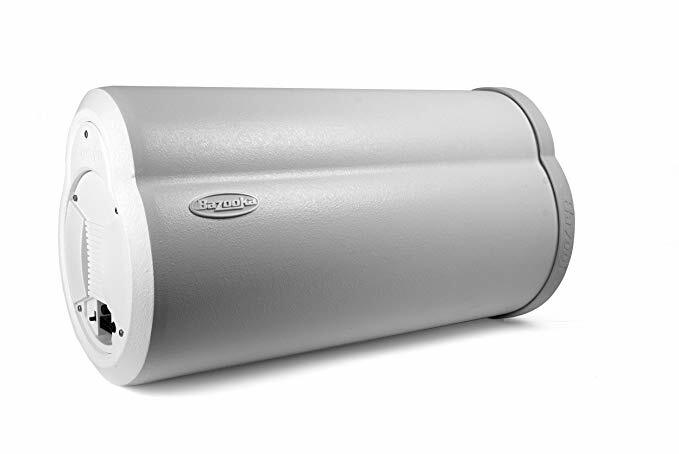 In general, it’s the best marine subwoofer for 2019 due to its deep bass and its class D amplifier. This Alpine subwoofer is perfect for boat owners who cannot afford the more expensive subwoofers. 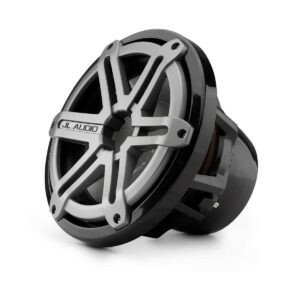 This includes a bass speaker of high output and high excursion capabilities making it ideal for maximum bass. For an affordable subwoofer, the Alpine is robust due to its 900 watts with 300-wattage peak power. 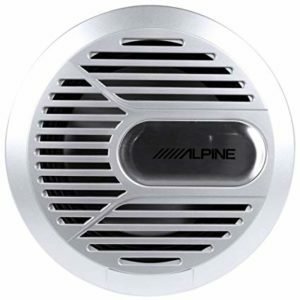 There are better speakers, but Alpine is an excellent alternative if you need to save on costs. Also, the subwoofer offers excellent powerful bass. Kenwood is a popular brand for offering quality marine audio gadgets and their boat subwoofers fit the criteria. This speaker series has a 200-wattage peak power rating and a high-quality bass of 50-200 watts RMS. It comes with a Kac-210MR mono amplifier that is quite small in size, but it improves sound quality. The equipment has been made for free-air applications and needs to be put inside a subwoofer box, making it ideal for mounting it anywhere on the boat. If you cannot afford the Bazooka subwoofer, this Kenwood alternative is suitable for you. 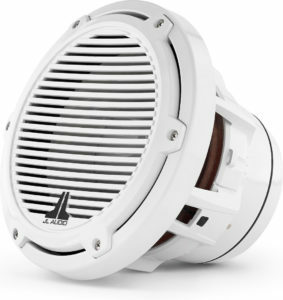 It’s the most affordable marine speaker that has an amplifier powering it to a 100 watt RMS. 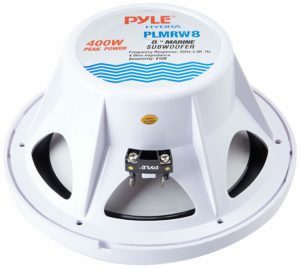 In case your budget is tight, and you want a robust subwoofer, Pyle provides a range of marine speakers. The dimension of the speakers include a 12 inch/600 watts, a 10 inch/500 watts, and an 8 inch/400 hundred watts. All the speakers use a good value polypropylene cone and are made of marine-grade materials. The 8-inch speaker is the most affordable with 400-wattages of peak power and a 200 watt RMS. The speaker is best bought in bulk to offer full bass around the whole boat. It might not be the best quality speaker, but it’s a suitable alternative for its price. Whatever your budget is, you can get your perfect boat subwoofer from these marine powered subwoofer reviews. All of them are quality speakers, and all have stunning features. Finding the most suitable speaker won’t be a problem.